The first time I was sent the Joseph Kony video, I ignored it. It was International Women’s Day and Holi – the spring festival of colors. I wasn't in a mood to watch anything that looked suspiciously disturbing. So, my first question is, Joseph Kony abducts and turns children into soldiers with guns. WHY THE HELL DOES HE DO THAT? 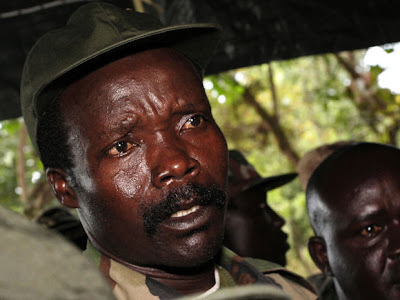 Here is the answer: Joseph Kony belongs to a tribe called Acholi. He is fighting to create a sovereign state for the Acholi people in Uganda. His aim: to run an Acholiland, on the basis of the Biblical 10 commandments. He uses his (child soldier) army to kill his enemies who are mostly soldiers and civilians supporting the Ugandan president Museveni. Sounds pretty much a fanatic Christian version of the Taliban to me! Question 2: How does Kony rule over his army? What is the opium he feeds them? Answer: Apart from the dream of an Acholi nation, Joseph Kony tells his young warriors that the Holy Spirit can shield them in battle if the proper belief, the proper application of Holy Oil, signs of the cross, and the proper recitation of prayer songs etc. Also, he also tells them that if they die, they would have eternal life in heaven. Now, haven’t we heard something like that from Islamic Jihadis? Question 3: If Kony has been running his child abduction and child torturing business for 30 holi s**t long years, it obviously means he has support. So, where does it come from? Answer: Kony has support from Sudan which gives him arms and ammunition as well. I looked for answers and found several pieces by several church ministers, with everyone asking for forgiveness for Kony. Here is one of them by Church of Uganda that says Kony is a normal guy, seeking peace. I found part of the answer: Kony had an aunt who was a Voodoo priestess and who wanted to build an Acholi nation once. That’s where Kony learned it all. Today, he reportedly has had more than 70 ‘wives’ and is also father to over a 100 children. Question 5: why is it so difficult to find Kony? The answer is because the areas which he lives (Uganda, Congo, Sudan)have dense forest cover. One of them is Garamba Forest in northeastern Congo.
. Hmm…sounds like Kony is the African brother of our own (now dead) sandalwood smuggler Veerappan, isn’t it? Question 6: So, what do the Ugandans think of Kony and this worldwide campaign to catch him? According to media reports, while most Ugandans do hate Kony, they are also suspecting that the US is only interested in Uganda’s oil sector and not in catching Kony. Peace activists on the ground are saying that military approaches will only worsen the situation, instead of finding peace. But the best is said by an Ugandan journalist: "It is not on the front page of our papers because it is not news. 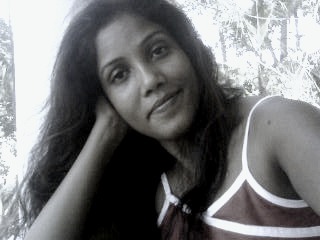 When the violence stops, that is news." Thanks! that was the idea actually. Thanks for reading through! Reviving a dying forest? Yes, we can!